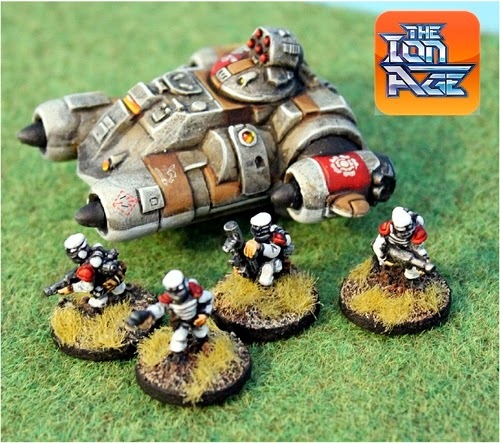 The Ion Age Blog: IAF029 Skylark Patrol Flyer - Early Supporter Offers! IAF029 Skylark Patrol Flyer - Early Supporter Offers! After a week of previews and anticipation (notice not months or promises) we present the Skylark ESO Bundle Offers! The Skylark series of codes comprises three different codes all of which are featured in these Early Supporter Offers. You can find a lot more information on each of them in three previous postings on the Ion Age blog. The IAF029 Skylark Patrol Flyer and the IAF033 CrashedSkylark and lastly the IAF034 Skylark Cradle. Have a look and then please come back here. Read them all, enjoyed them and the pictures...good! Here are the details of the three different excellent value bundles which are on our website from the 3rd to the 17th of March 2014. Skylark ESO Bundle One – The Cradle. Three IAF029 Skylark Patrol Flyer vehicle kits plus a IAF034 Skylark Cradle structure free. Total Bundle Value 28.00GBP price is 21.00GBP save 25% off release price! Every order placed automatically gets the IMP07 Female Patrol Officer (worth 0.60GBP) included free automatically! Skylark ESO Bundle Two – The Crashed. Three IAF029 Skylark Patrol Flyer vehicle kits plus a IAF033 Crashed Skylark model free. Total Bundle Value 28.00GBP price is 21.00GBP save 25% off release price! Every order placed automatically gets the IMP07 Female Patrol Officer (worth 0.60GBP) included free automatically! Skylark ESO Bundle Three – The Air Fleet. Ten IAF029 Skylark Patrol Flyer vehicle kits with a massive saving off release price. Get your whole air arm for the Muster in one go. Total Bundle Value 70.00GBP price is 50.00GBP save actually over 25% off release price! Every order placed automatically gets the IMP07 Female Patrol Officer (worth 0.60GBP) included free automatically! GO HERE for the web page with the offers which are valid for two weeks from today. All orders placed with bundles in them will ship on the 17th March worldwide. 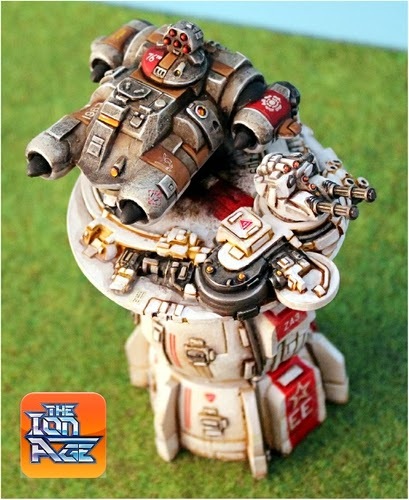 The Skylark and its supporting codes along with all of the 15mm white metal Muster miniatures are all working towards the release of Patrol Angis our 15mm skirmish science fiction rules system. In the game the Skylark will perform many duties including strafing runs, rapid insertions, pick ups under fire and the delivery of vital supplies while in combat. Here are some images of the models in use in play with captions (we had some fun with this!). We think that the Skylark is a fantastic and original model and we hope that you do too. Thank you for your support of all of us here at The Ion Age in allowing us to pursue our dream of a space opera future that is wholly its own. This stuff is just way to cool. Thanks. I am enjoying your Orc posts. The Ion Age will make you even happier come mid April. Thanks Wes, I appreciate it. We will have, as I said, something that will make you smile in April. Best of fortune to you and your good lady. Thanks Mark. You will enjoy these and it will add to your forces. Are you planning a ESO every month, or just on big releases, vehicles for example? I forgot to ask.. will you be releasing any variants mentioned above, like the Type 41B Skylark Battle Bus for example? That is the plan down the line yes. Several of the variants can be done with existing parts but the apc needs another piece. Its a great model. 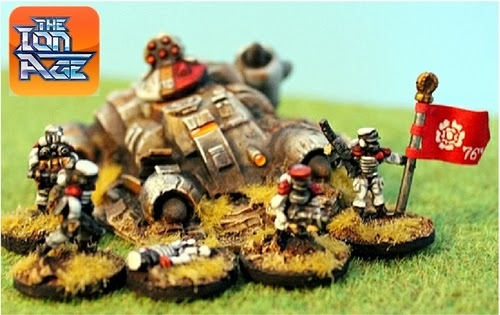 IAF039 Khanate Warlords Set Released! IAF021 Muster 1st Patrol Command Released! IAF015E Landing Pad and New Top Mounts Released!